Founded in 1986, Navis Events was originally created as a full-service corporate and leisure travel agency. Early on, large scale meetings and travel incentives became a majority of the business, and soon after we were focused fully on the management of corporate events. Those early days in the travel industry served us well as many corporate programs require air and ground transportation, and of course accommodations. We have some of the best travel professionals in the industry on staff. Navis celebrated its 30th anniversary in 2016 and has over 3 decades of experience managing corporate events. We are never satisfied. “Good enough,” is not good enough. We want to be the partner our clients cannot imagine living without. So we constantly strive to improve everything we do. After more than three decades of continuous improvement, one thing has remained constant. We are absolutely obsessed with meeting the needs of each and every client who entrusts us with their business. There is not a one size fits all solution. We delight in bringing the best practices and technologies to companies that are on the way up. You deserve to play with the big boys. We scale our services and technology to fit the needs of any client. We will learn, listen and focus on turning your hopes into real results. This is how we’ve been and always will be a true partner. Companies of all sizes trust us to take care of their people and help them transform their organizations. Most importantly, they trust us with their reputation, their most valuable asset of all. We work with big brands with household names, and “up and coming companies” you’ll know soon if not already. We perform our services across nearly any business category or segment. Because the work we do is often confidential in nature, we choose not to disclose our client list. They appreciate this, and we think you will too. Just know we are working with some of the brightest people and best brands out there. Our clients… you know them, we take care of them. Our team is known by its red shirts. This wasn’t always the case. Of course we had matching shirts, but the color varied from event to event. 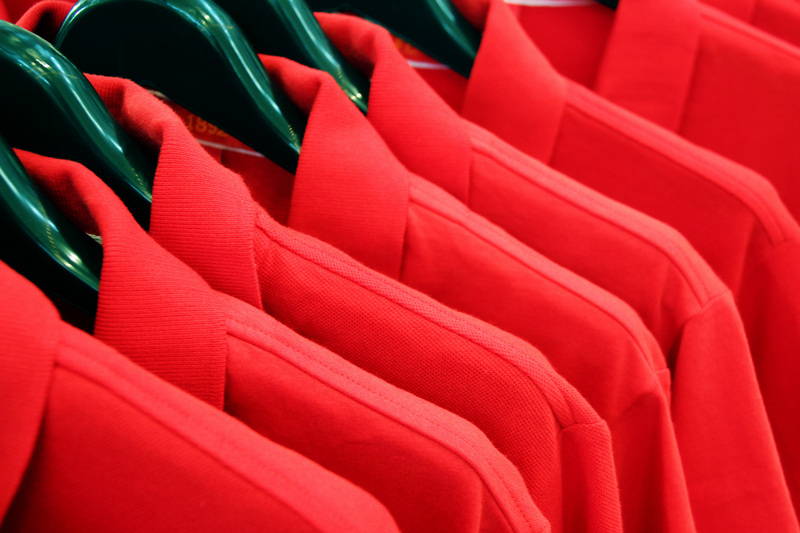 Then one year we were sporting red and a client mentioned he tells all his participants, “If you have a problem, look for a red shirt – the red shirts can solve anything!” Now that was a reputation worth building on, so for over 20 years, our on-site staff has consistently worn red shirts. Give us a try and we’ll have you seeing red – in a good way!